1 Therefore, since Christ has suffered in the flesh, arm yourselves also with the same purpose, because he who has suffered in the flesh has ceased from sin, 2 so as to live the rest of the time in the flesh no longer for the lusts of men, but for the will of God. This month’s class is an introduction to the doctrine of suffering. I’m looking forward to great sharpening and insightful discussion on this somewhat controversial topic. There are a few views out there, but we will search the scriptures together. Feel free to complete some “pre-work” in your personal study and reading. My prayer is that this time together will help us to gain more sobriety when it comes to suffering. All suffering is not a curse or penalty for sin. Neither is all suffering spiritual in origin. Some things we do. Some things we allow an enemy to do. Some things we inherit; and when aware, we have the power to change. Some things God initiates. Some things God allows. We can be sure, though, that suffering is guaranteed. Selah, and love to all. 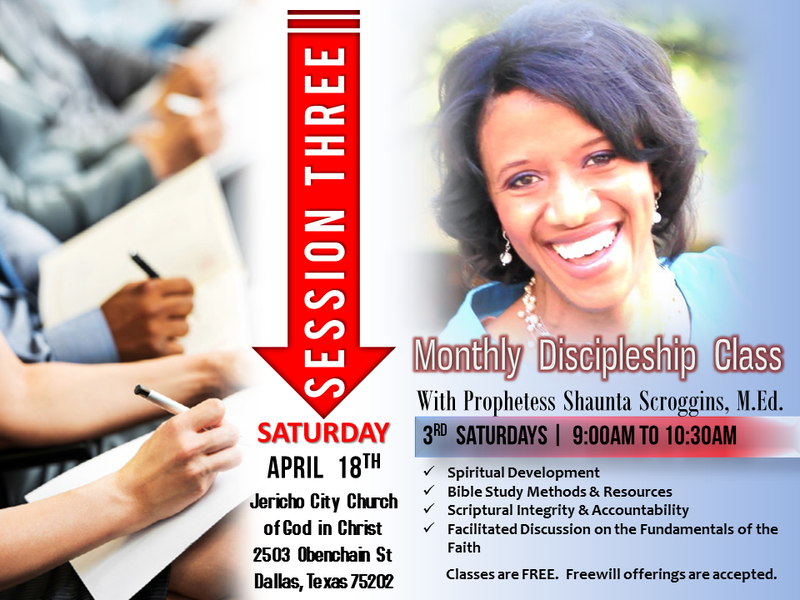 Join us for monthly discipleship class.